CM Pema Khandu while taking part in the debate on Chakma Hajong refugees issue in Arunachal Assembly said that ” Time have come to finished the issue of Chakma-Hajong, if we continue to debate or else we may see only Chakma-Hajong issue in state which is like a cancer”. Mr Khandu said that ” we have been hearing the issue for more than 50 years. He said that all numbers and facts and figures of Tibetans are found but in case of Chakma-Hajong are confusing as they came during those days”. Since the students and youths have been fighting for the cause and future of many youths have been damaged. I have also convey our concern to MHA of indigenous people of state. 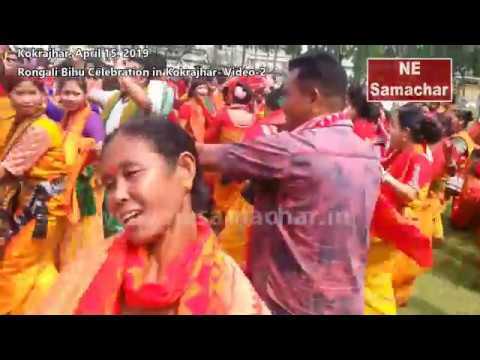 The main issue is ILP, so far citizenship issue is concern the Chakma-Hajong keeping all law and rules, the officials figure is around 65,000 but unofficial is more than lakh. According to applications 1222 already processes, 900 of hearing completed and sent to MHA this year in two phase. All have been rejected. Rest 322 are also rejected cases would be sent, missing 1588 cases are due to non available of claimant, forms incomplete and other issue. Relief eligibility certificate, issue by GOI to the Chakma-Hajong during that period of some of them are even not clear and some of them are overwritten or otherwise. We are also fear that out right are not curtailed and in this regard I have already submitted the concern to MHA recently. He also have mentioned about rejected application and if again it is sent back then a official from GoAP is included. He said that around 8000 Hectare of land have been damaged in Changlang and also in Namsai district which is not good precedence. We have report of illegal activates and crimes taken up by them. He requested all embers to be united and try to fight the burning issue of state unitedly. While taking part in the debate Dy CM Chowna Mein said that there is a need of a permanent solution. 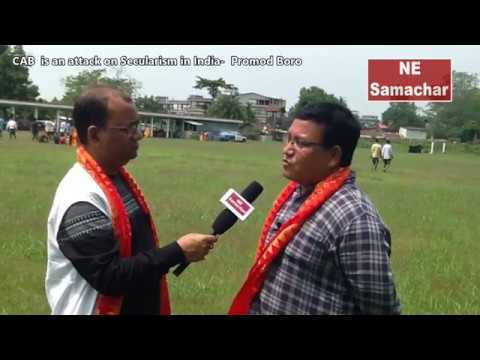 He referred the many local and political activities held in state against Chakma-Hajong issue in state. The population of chakma-Hajong rise is 24 % may not be possible but may be due to influx of illegal refugees in state in compare of other indigenous tribes of state of the area. Only those who come to state during may be allowed to live while other may be deported, we are protected and in any case we will not allow them land right. 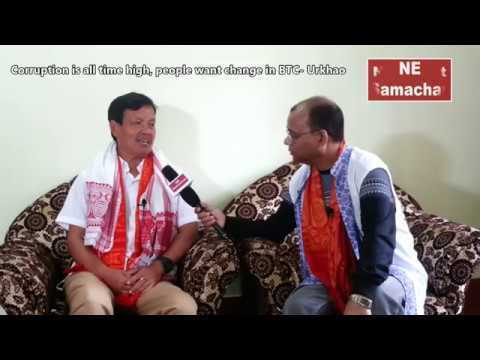 Former Chief Minister and Sagalee MLA Nabam Tuki wanted to go for a higher bench if state government try, the legal battle started from 1995, the NHRC first went to court to protect for rights of Chakmas. We should see how we can fight in court of law, we have challenging the order of 2015, we filed review petition and ask GOI to file and our petition was rejected. Can state government move to higher court for protection of rights of indigenous people, he wanted that we need to be united and heal together to find out an amicable solution of this cancerous disease. If we do not take up the decision today tomorrow will be late and we may see their representation even in house as they have given voting right more than 1400 chakma-Hajong refugees. Originally settlers may be less but illegally migrants may be large which need to be checked. Palin MLA Takam Pario during 1985 referring to AAPSU agitation one Kipa kache was killed in firing by CRPF in Kurung Kumey district. In 5 decade of time under present government how they will be given citizenship is a subject to Government of India we need to take a decision for solution and opposing the citizenship grant to Chakma-Hajong. 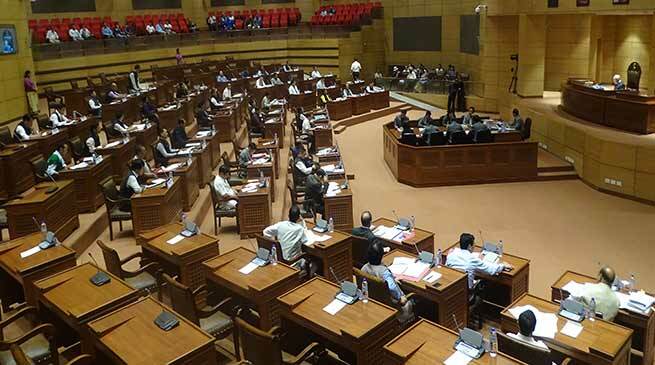 in the debate MLA C. T. Mein , Tanga Byaling, Tesam Pongte, Minister Nabam Rebia , Lombo Tayeng , Thangwang Wangham , Tage Taki , Japu Deru , Wangling Lowangdong, and Minister Wanki lowing took part.